Join Chenoweth as she goes home to Broken Arrow, OK, to perform music from her career. 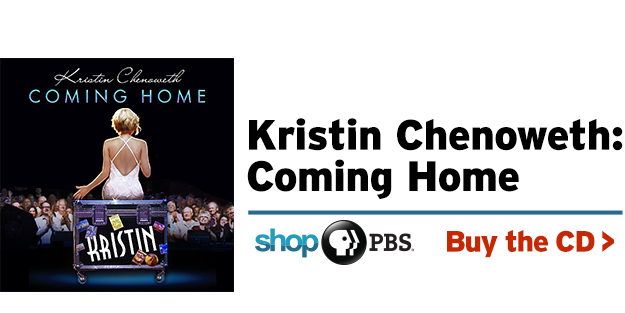 Emmy® and Tony® Award-winner and accomplished singer Kristin Chenoweth brings it home — to Broken Arrow, Oklahoma that is — to perform a career-spanning concert. With a classically trained voice set off by a gift for acting and comedy, Chenoweth appears at a state-of-the-art theater that now bears her name, performing Broadway, television and film songs like “Popular” and “For Good” from Wicked, songs from her acclaimed performances on Glee, and beloved music from Les Miserables, Phantom of the Opera and many more. Backed by a 13-piece orchestra led by Musical Director Mary-Mitchell Campbell, Chenoweth welcomes song and dance friends from Broadway in a program sure to be unforgettable. for television by Scott Lochmus.